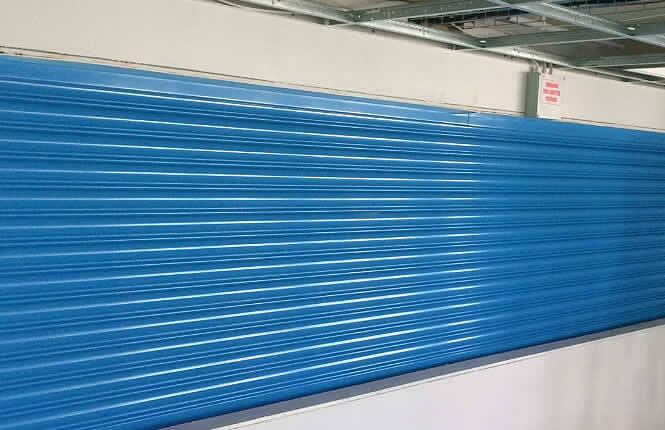 Our RSG5700 fire shutter is an upstanding steel rolling shutter, compromising of a box, guide rails and scrolled or flat laths. 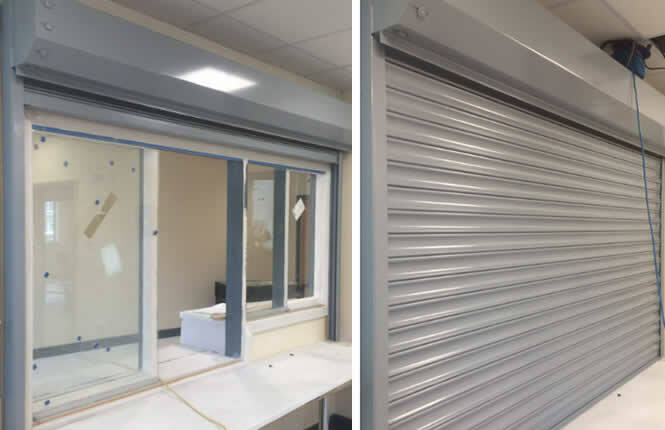 The steel shutter is galvanised as standard and as an extra, can be all powder coated to a specified RAL number to suit your relevant door and window openings. Assessed to British Standard BS EN 476-22:1987 and tested & approved by Exova Warringtonfire under BS EN 1634-1:2008 European Standard, this flame resisting product has been designed to contain fire within certain area of a building from 60 minutes to 4 hours. 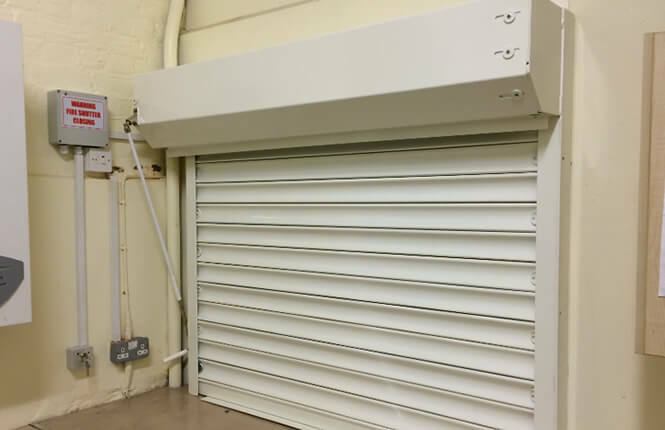 The RSG5700 fire resistant roller shutter is electrically operated, predominantly linked to a fire alarm system or heat & smoke detectors in certain circumstances, where in the event of a fire or emergency, the fire shutter will close automatically to create a fire resisting barrier when the fire alarm signal is received. As standard, a battery backup is installed to ensure power is always up in the event of a power failure. 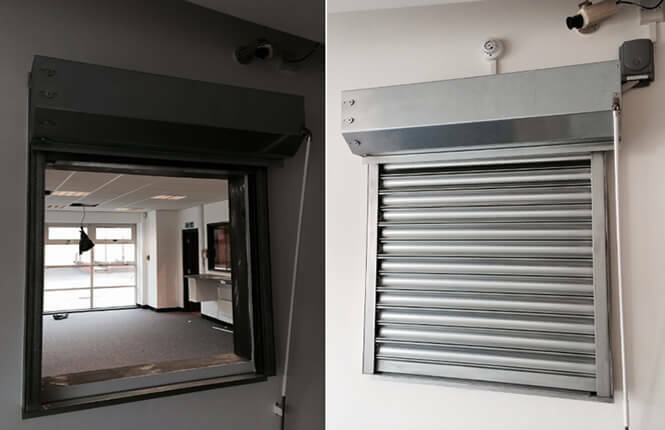 In addition to fire protection, the RSG5700 is a robust steel shutter, built to a high standard for security and performance providing a good level of protection to your building. 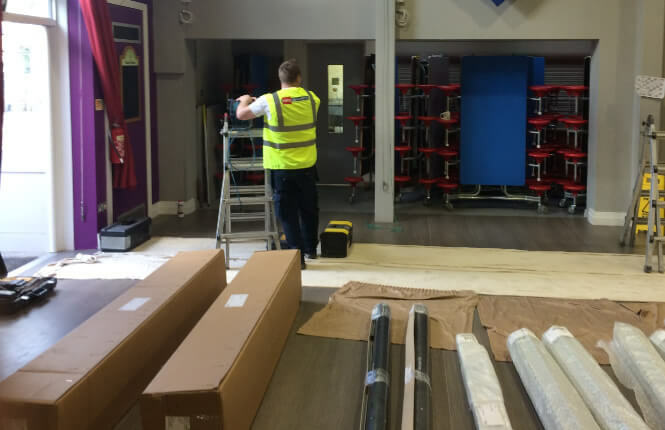 It is essential for businesses in the UK to implement effective fire products for both the health and safety of their employees as well as to ensure they meet with building regulations. Every year, businesses up and down the country are forced to close down because they neglect to implement measures that can reduce the spread of fire, resulting in the refusal of their insurance claims. 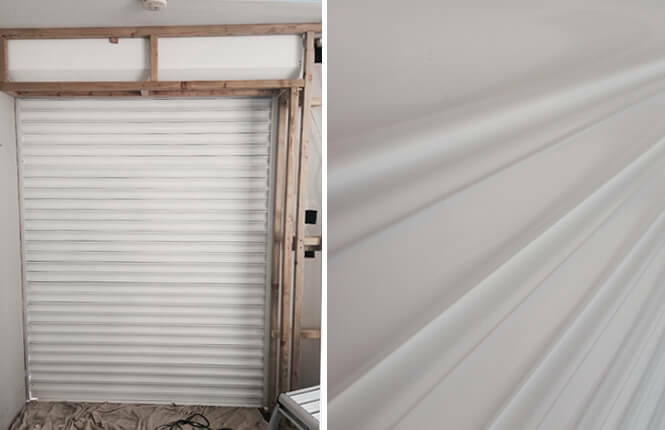 With this in mind, manufactured in our factory in South London, our RSG5700 fire rated roller shutters are the perfect 'fire resistant barrier' solution and here at RSG Security, we provide a complete design, manufacture and installation service in London and surrounding counties. Providing a fire resistant barrier solution. Adding a robust security feature as standard. Tested, certified and complies with regulations. Offering fire protection levels from 60 minutes to 4 hours. Various options available - smoke/heat detectors, warning devices, radio controls, etc. 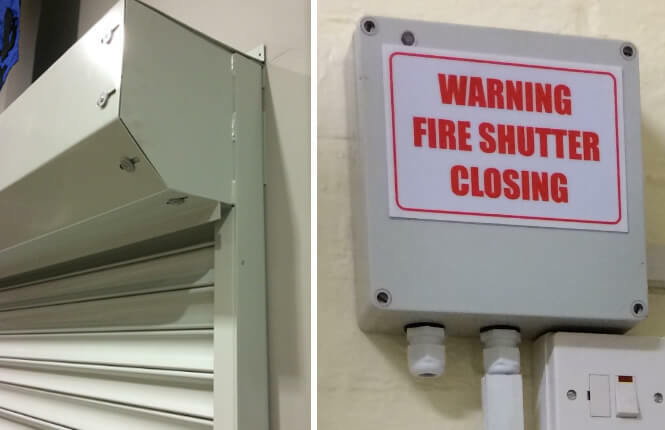 Our RSG5700 range of fire shutters is suitable for areas where fire protection and flame containment is a must, such as kitchen & servery areas, canteens & restaurants, loading bay areas, factories & warehouses and in some instances, depending on the nature of the business - offices, commercial or retail applications where fire containment is required yet constant access is needed. Available as FR60 (1 hour rated), FR120 (2 hour rated) and FR240 (4 hour rated). Please note maximum sizes can vary to integrity rating and bigger shutters require a barrel support bracket. Available for both reveal and/or face installations. Welded to the top end of the guides, the steel galvanised endplates are set in a flag arrangement with a two piece box assembly with chamfer, encasing the round steel barrel. Boxes come in 250mm, 300mm and 350mm sizes depending upon shutter height, details are usually provided at time of estimates. 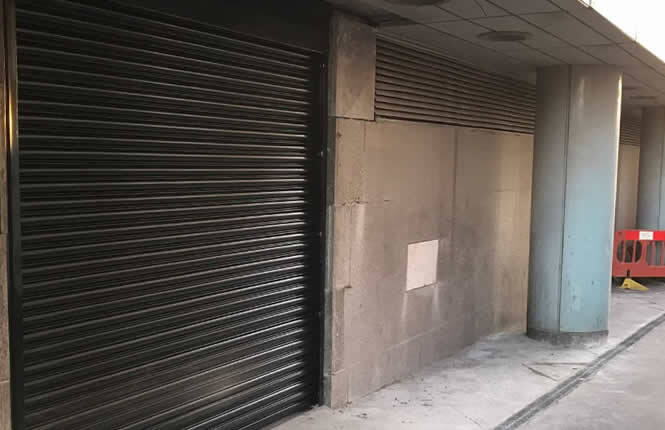 Single skin galvanised steel lath (powder coating available). Available as 75mm scrolled or 50mm flat laths. 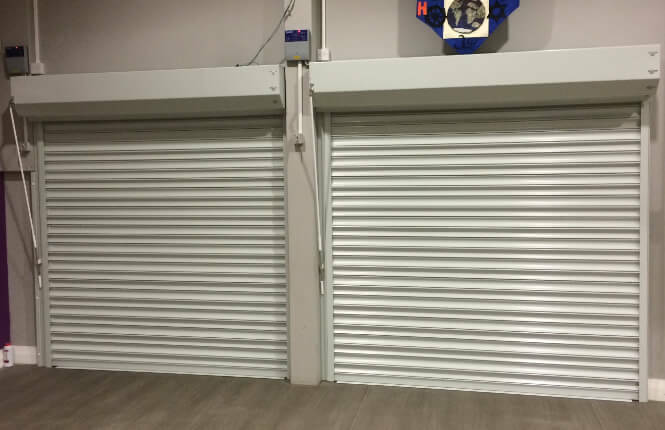 Weight: 10-16.5kg per square metre (dependent on lath option & shutter size). 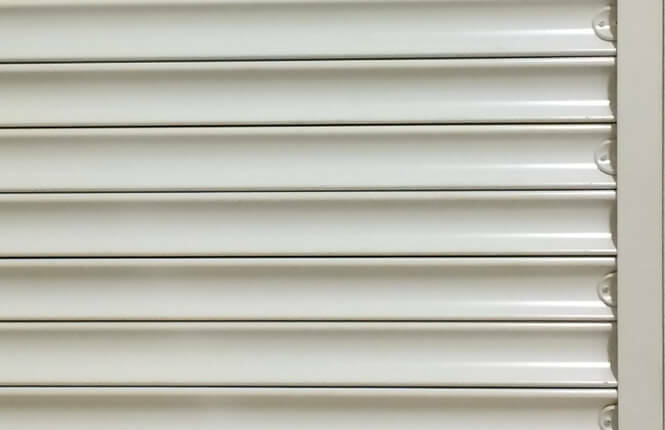 The bottom rail is a 'T' sectioned steel lath, measuring 74mm deep x 49mm high. 3mm thick galvanised steel channels 50mm or 65mm deep, c/w fixing angles. Galvanised as standard. Powder coating available to any RAL or BS colours at an additional cost, please contact our Sales for quotes. 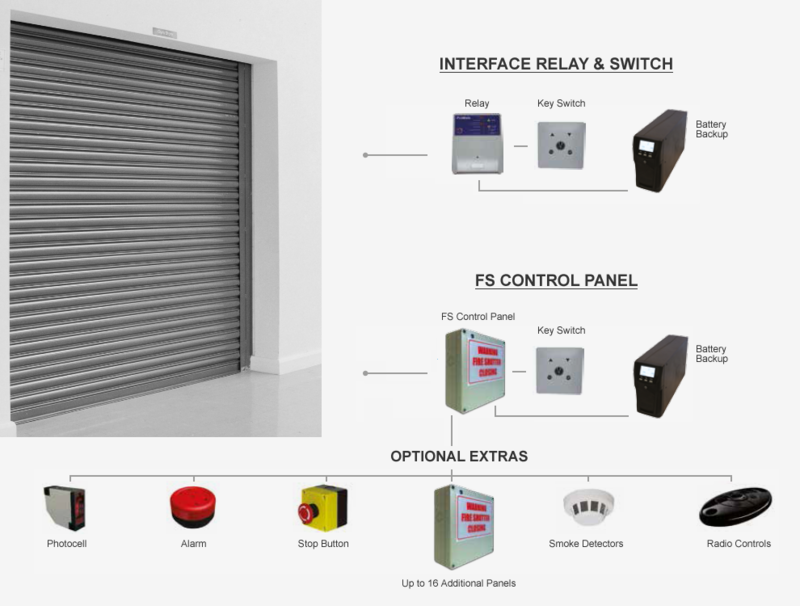 The basic requirement of fire shutters is in the event of a fire or emergency, the fire alarm would send a signal to close down the shutter and this is what the interface relay does. A key switch is usually fitted to enhance control and when the switch is being used, the fire signal would be ignored. The FS Control Panel comes with a built-in audio and visual technology. The panel offers more than the basic fire alarm connection, it allows adjustable closing modes, indicates warning lights of operation, linking of up to 16 fire panels, emergency stop button connections and a range of optional extras. 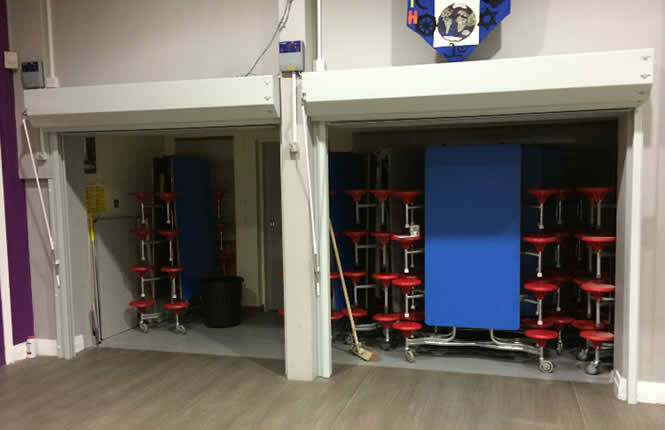 From photocell, alarm, stop button, smoke & heat detectors, visual & warning talking devices to radio controls and automatic door release system, we have a range of optional extras on offer to suit the specifics of your project; be it residential, retail or an office, at a school, hospital, or industrial plant. or click to Make An Enquiry Now! 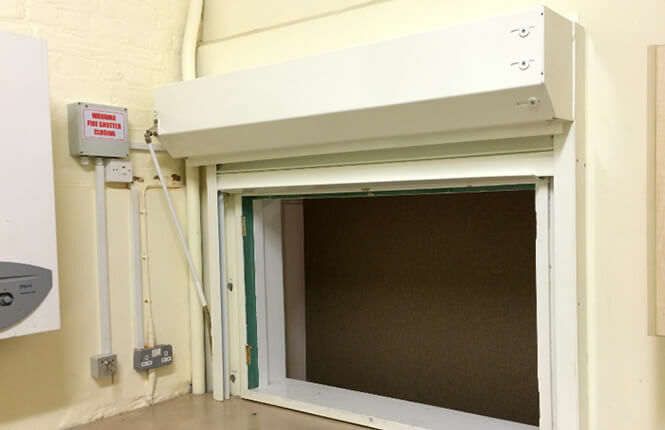 As standard, RSG5700 fire shutters are in a galvanised finish. Powder coating is available as an optional surcharge and the below lists our standard colours available, please note colours are just a guide and may not be exact reproduction due to different screens resolution. 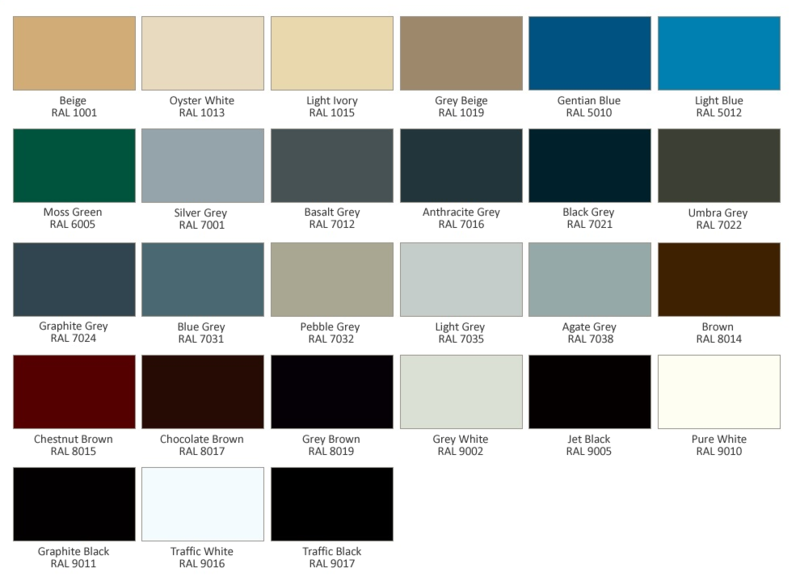 Should you require a specific colour, please provide us the 'RAL Number'. If we have this colour in stock, we shall include at no extra cost however if not available, an extra charge will apply and we shall advise accordingly. Please click to Make An Enquiry Now!